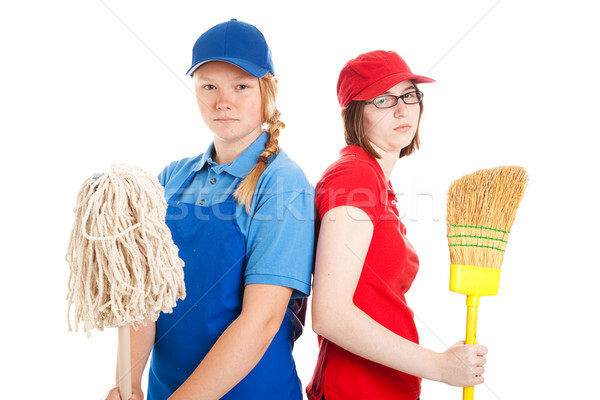 Stock photo: Two teenage girls with their first jobs. Both are bored and unhappy. Isolated on white.